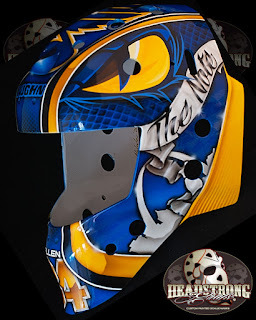 In December, Allen started wearing a fan-designed mask. Below is his first mask of the season. 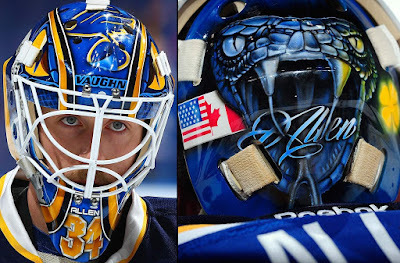 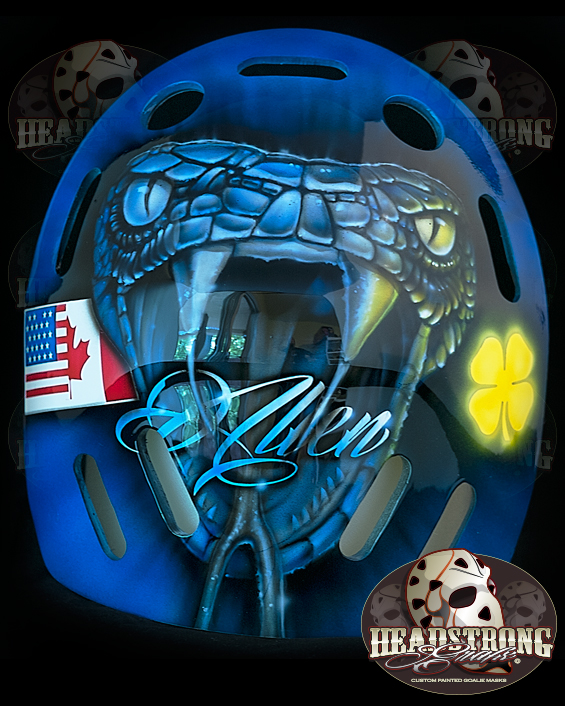 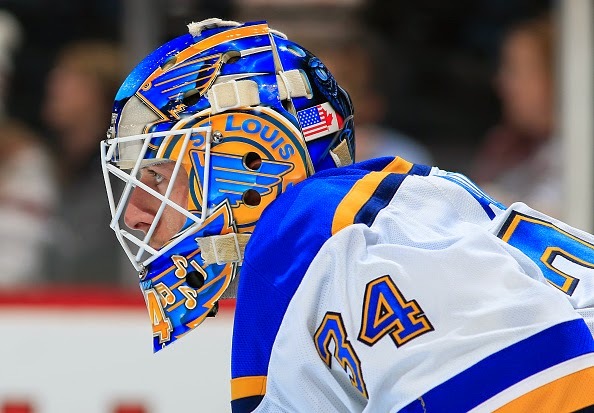 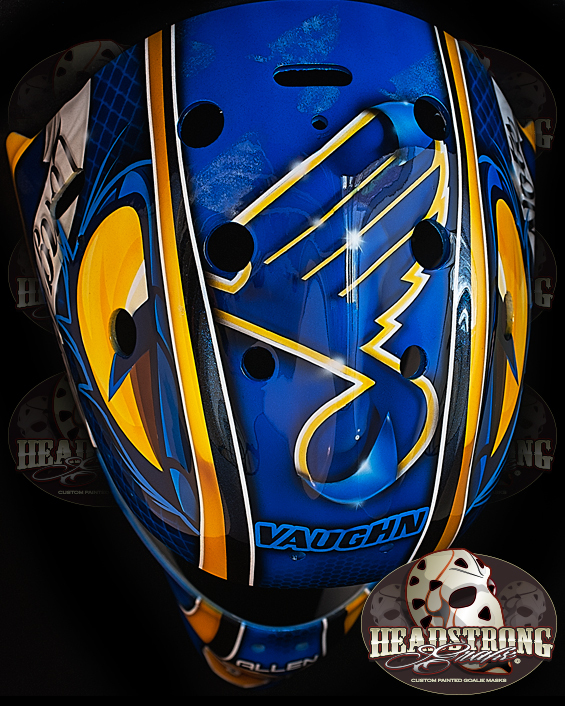 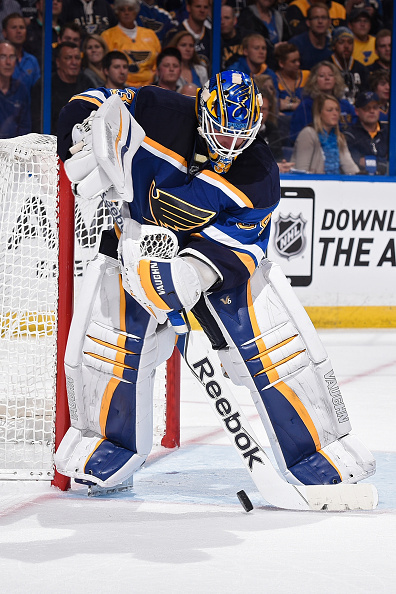 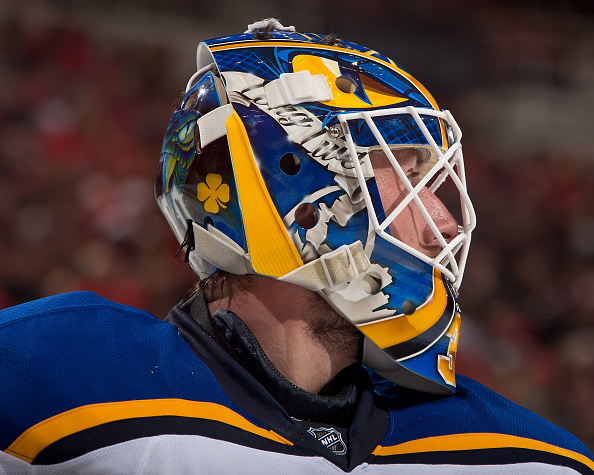 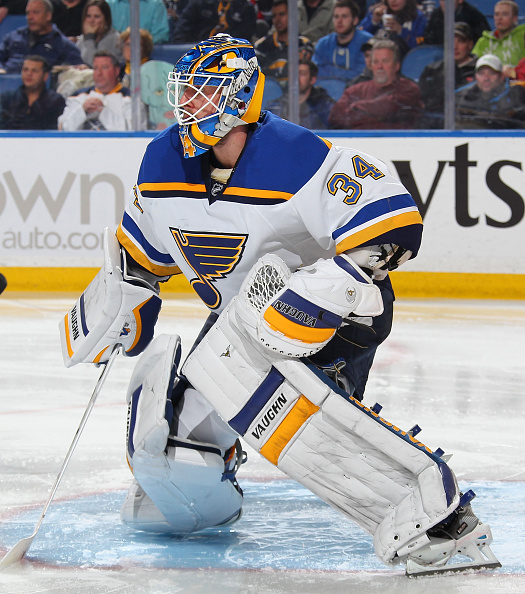 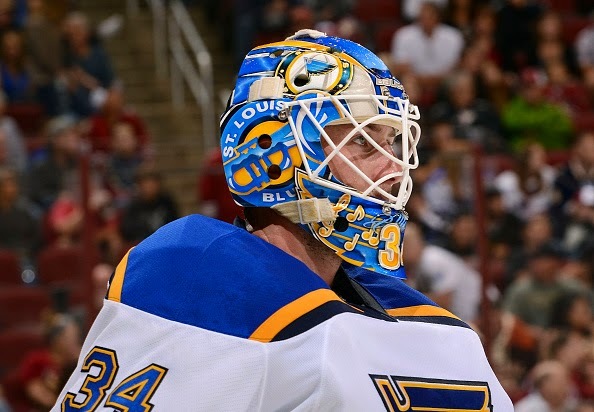 Allen’s new mask is a tribute to Blues logos, past and present. 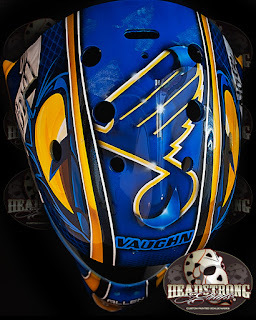 The classic blue and gold of St. Louis are in great balance and are sure to look great on the ice. 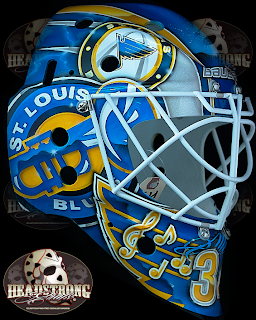 On the left side, the classic Blues note is encircled in a ring, while another larger note site just above it. 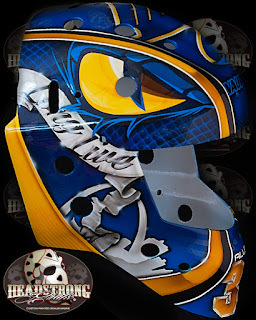 Speaking with Livery, he said, “the mask has lots of cool effects like the ghosted notes in the background with our holographic FX,” and we couldn’t agree more. 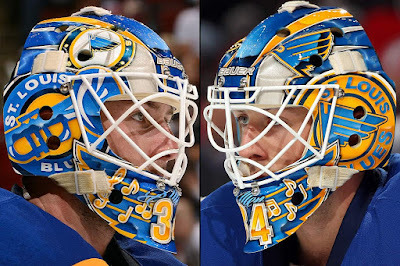 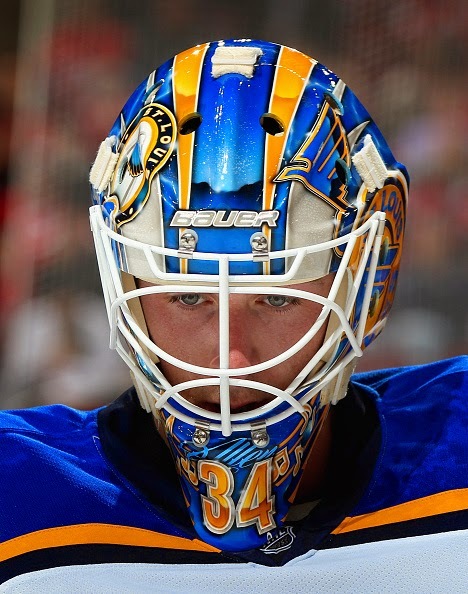 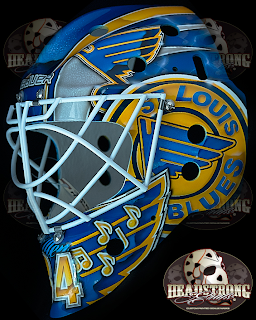 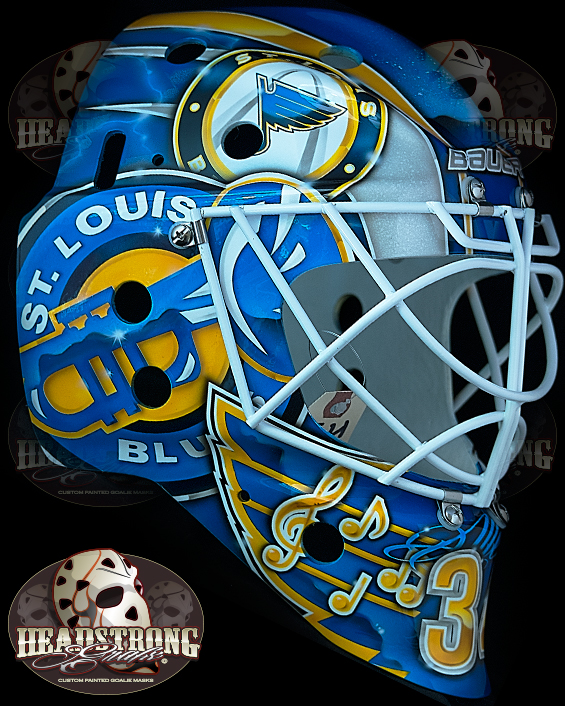 On the right side of the mask, the newer incarnation of the Blues logo complete with the Gateway Arch is upstaged slightly by one of the lesser known Blues logos. 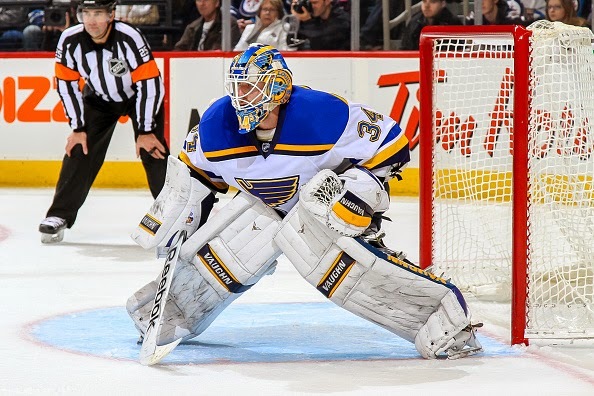 He wore 3 different sets of pads this season. 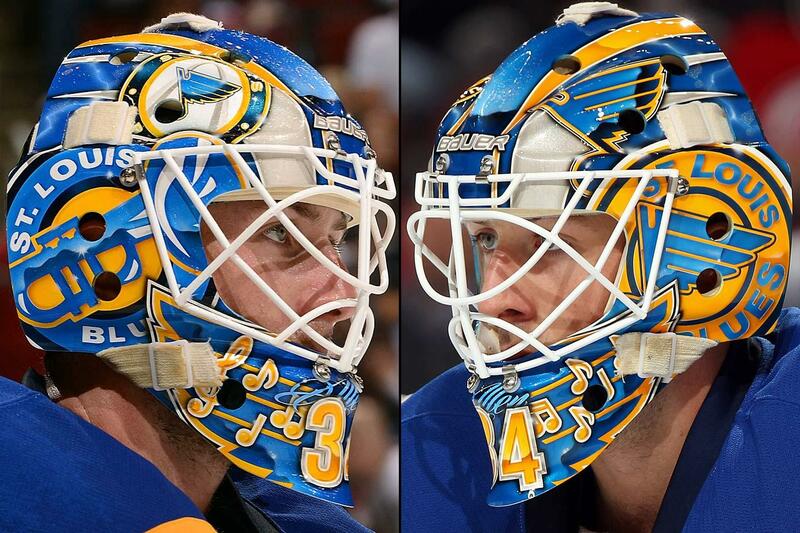 These are the ones he ended the season with. These were the 2nd pair of pads he wore. 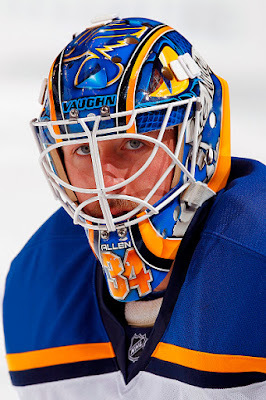 And the gear he started the season with.